The HP manually operated pump range offers a choice of single or two speed operation and all models are supplied complete with a pre-filled oil reservoir, ready for immediate use. 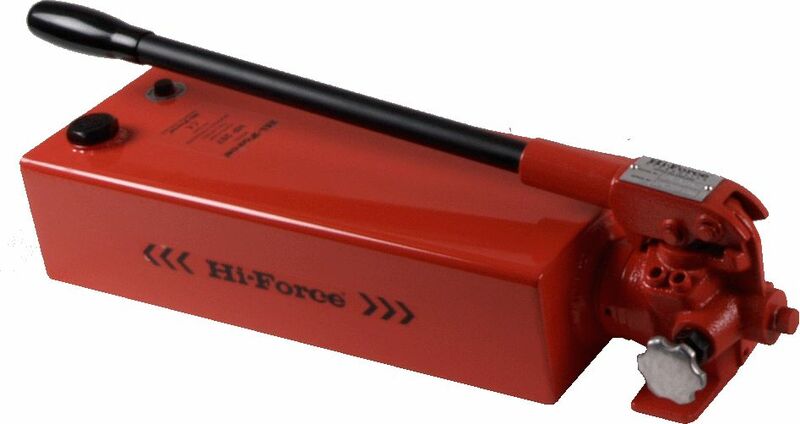 The ideal solution for applications where completely independent, portable hydraulic power is required. Factory set safety relief valve. External Release Valve.